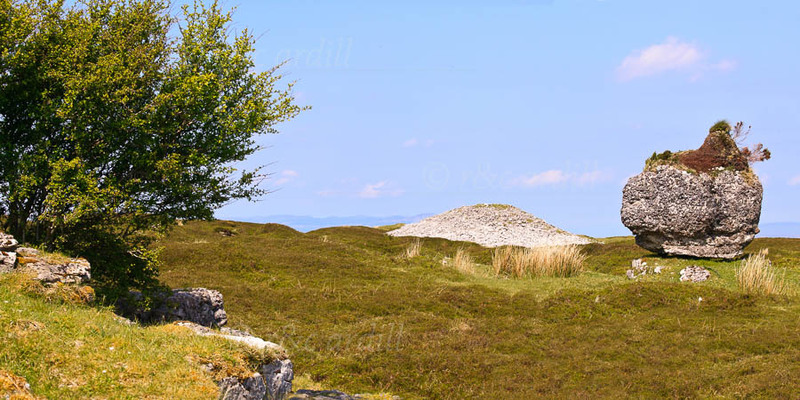 Photo of: West of Ireland: Sligo: Carrowkeel. A view of Cairn G at the extraordinary neolithic site at Carrowkeel in County Sligo. The large boulder to the right of the image is an erratic boulder deposited here at the end of the ice age - however it does seem to be part of the complex, casting a shadow like a sundial.